Obonjan Island is your dream come true. What are you dreaming about when you’re sitting in that work meeting taking notes that look suspiciously like stick-figure doodles and counting down the minutes til you can go drown your boredom in the box of doughnuts someone brought in for Wendy’s 47th birthday? Being somewhere else, probably. Like… a sun-drenched island. Well, put that doughnut down because you won’t need the extra baggage where you’re going. Obonjan Island is your dream come true, and it’s way more affordable than the words “luxurious island hideaway in the Adriatic Sea” make it sound. Obonjan Island, off the coast of Croatia, is 1.5 km long and hosts no more than 500 guests at any time, so you know you’ll be able to find quiet corners and well-preserved natural beauty as well as a fun-loving and friendly community of fellow travellers. So get this. At Obonjan you can enjoy the golden sands and crystal blue waters all around. 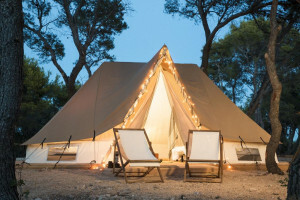 But you can also do lots of cool stuff on the island like take yoga classes, learn to paddle board, practice your chin-ups in the outdoor gym, dine at restaurants or sip cocktails at one of the island’s bars. As for the Festival — it’s basically a summer-long medley of awesomeness. 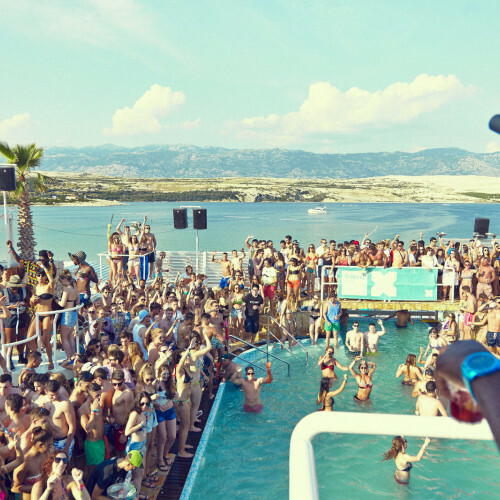 Live DJs provide the soundtrack to lazy afternoons spent in the pool. The island’s open air amphitheatre becomes a buzzing stage for bands at night. There are comedy and theatre, talks and workshops, film screenings and fitness classes. 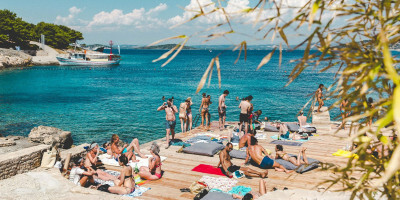 Far from your regular island getaway where you’re glued to your beach towel all day with nothing but a Dan Brown novel to keep you company, Obonjan is wellness by day and partying by night. Hey — life is all about balance!